2019 2080 MS Angler with Evinrude 250 G2 and Ranger Trail Trailer. Introducing the all-new Ranger 2080MS Angler. 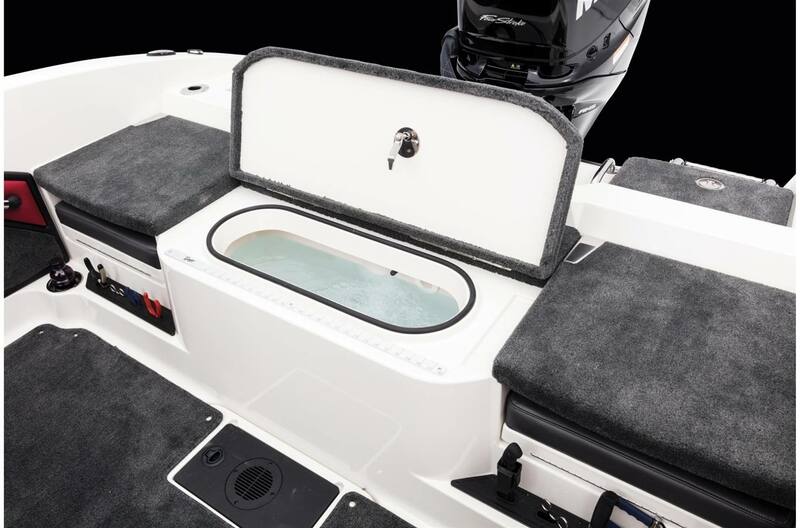 This big water crossover design defines what a multi-species boat can be in terms of performance, comfort and versatility. The roomy cockpit features four plush fold-down seats with two jump seats, a 24-gallon livewell and a console that can flush mount large-screen electronics up to 12 inches. The deep V hull carves up rollers and irons out rough water while the abundance of upright, level foam flotation gives you the ultimate peace of mind. 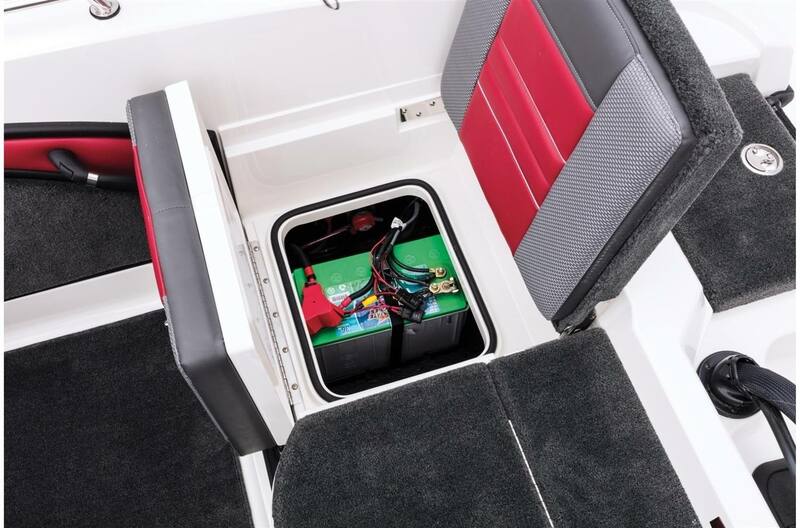 When it's time to fish, the 2080MS Angler offers everything you could want; a built-in forward baitwell, oversized center rod box, ludicrous amounts of smartly designed storage and a wide range of cutting-edge electronics, trolling motors and kicker motors. 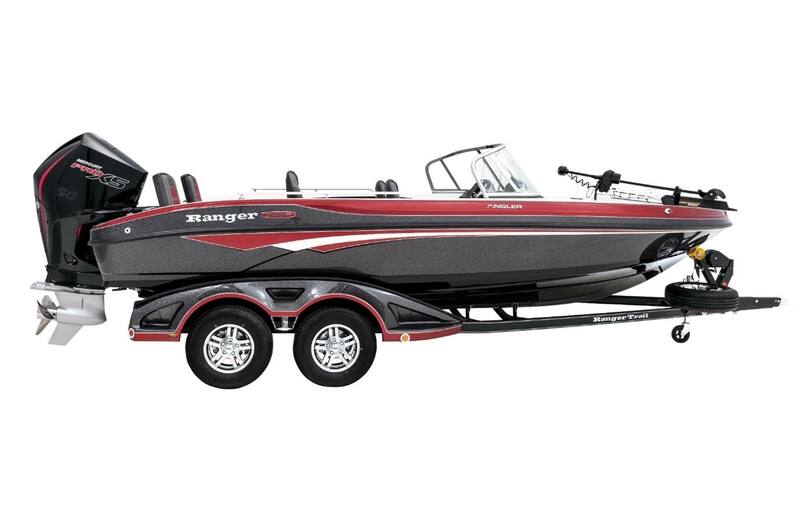 Complete with a custom, Road Armor Equipped® RangerTrail® trailer, the new 2080MS Angler delivers the strength and performance you need to dominate, no matter the conditions. Hull Length: 20 ft. 7 in. Total Person, Motor, Gear: 1800 lb. Approximate Boat Weight: 2400 lb. Approximate Length On Trailer w/ Motor Down (May vary with engine model and set-back plate): 25 ft. 5 in. Approx Length On Trailer w/Motor Down/Swing Tongue Open (May vary with engine model/set-back plate): 23 ft. 5 in.